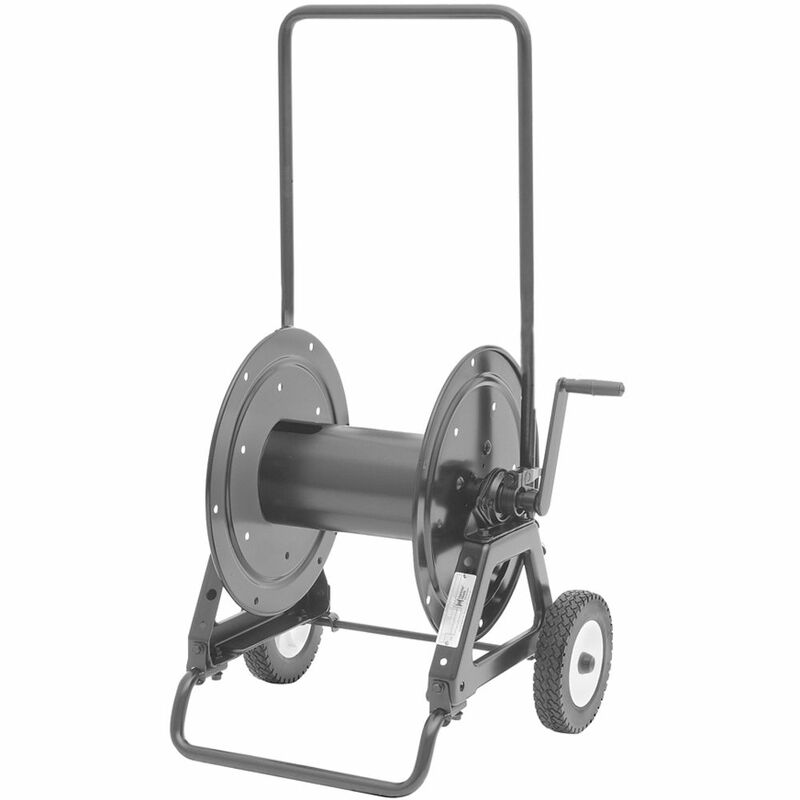 The black AVC1150 Portable Storage Reel on Wheels from Hannay Reels is ideal for use in communication and pro audio applications. This versatile reel is equipped with one-piece foot, and a removable steel handlebar for long-term storage and shipping. Additionally, the reel includes rubber tires and a drum opening for easy transporting. An adjustable cam-lock drag brake locks the cable in place. Box Dimensions (LxWxH) 30.0 x 24.0 x 22.0"